Download WhatsApp on your smart phone. – This is the way that a lot of people communicate here. Most restaurants and bars have WiFi and have no issue giving you the password. This way it is easy to let your taxi driver know you’re ready to be picked up, or set up a time to meet with that cool person you just met. 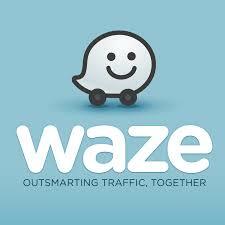 Download Waze on your smart phone. – This application is the best for navigating Nicaragua. Google’s navigation will take you on the shortest road, but since it isn’t used as often, it can’t calculate that the road is dirt, through a neighborhood, and will take 5 times as long. Since Nica’s use Waze it always knows the best routes, it will steer you around a traffic jam, and there are lots of fun voices you can download to make your drive more fun. One of the few things that Nicaragua cares about is the importation of cell phones. It is best to keep your cell phone in your pocket so it is seen as personal use and not to be sold. If they don’t like something in your bag it’ll get pulled to a side table. From what I’m told if you only speak English to these guys they get frustrated and let you go. It worked for us (by default) when we first got here with two packaged iPhones in our suitcase. Which is really all they’re looking for, iPhones. They didn’t bother us about the other 3 phones in our pockets, 2 tablets, 2 laptops, car stereo, etc. There will be young men in white shirts lined up asking if you need help with your luggage (in Spanish). Use these guys! Pay them about a dollar per bag. Which means have some small bills on you when you land. You need about 1 guy for every 4 bags. Save each bag sticker you get when you check your luggage in your departure city and have them ready to give to the guys with your bags after they’ve collected them. There will be a man who checks your sticker to make sure it matches to your bag. 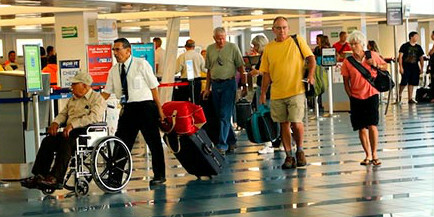 The young men will carry all of your luggage to a conveyor, place it on there, then they will take it off and load it up into your mode of transportation. 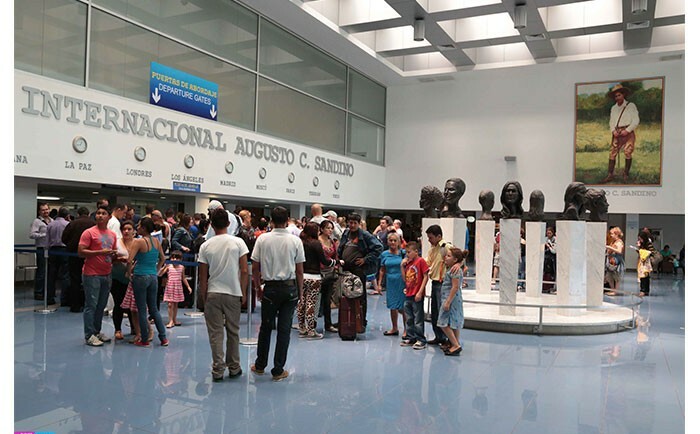 After you get your bags you are ready to exit the customs area into the swarms of people pressed up against the glass windows peering at you like your are their next meal, like a scene from The Walking Dead. As frightening as this may look, its only people looking for their loved ones to chauffeur them home. Hire a driver and have transportation set up. – We still do not feel comfortable driving outside of San Juan del Sur at night, and even here can be sketchy. There are many shuttle companies in place to make this drive for you. Then all you have to do is close your eyes and hold on tight until you get to your destination.